ESSEX COUNTY, NJ – The Essex County Free SummerMusic Concert Series offers a diverse lineup of performers who will take center stage throughout our historic Parks System. Pack a blanket, enjoy the cool evening breeze, and dance to the sounds of summer. 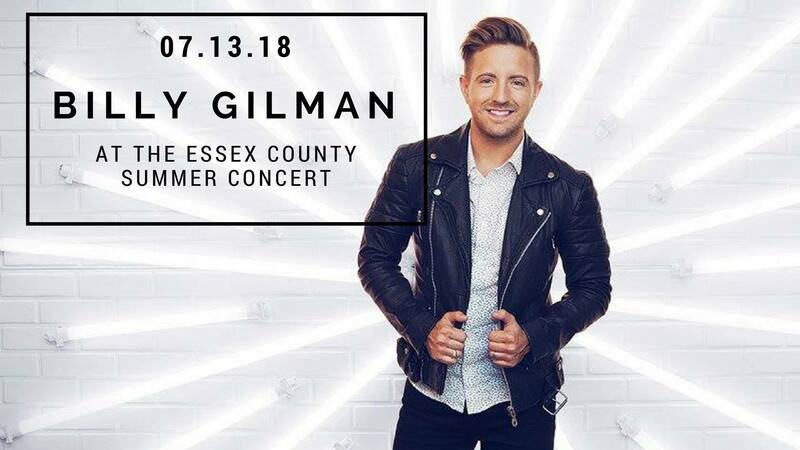 On Friday July 13, Billy Gilman of ‘The Voice’ takes to the stage at 7:30 p.m.
A fireworks celebration will follow the concert at 9:15 p.m.